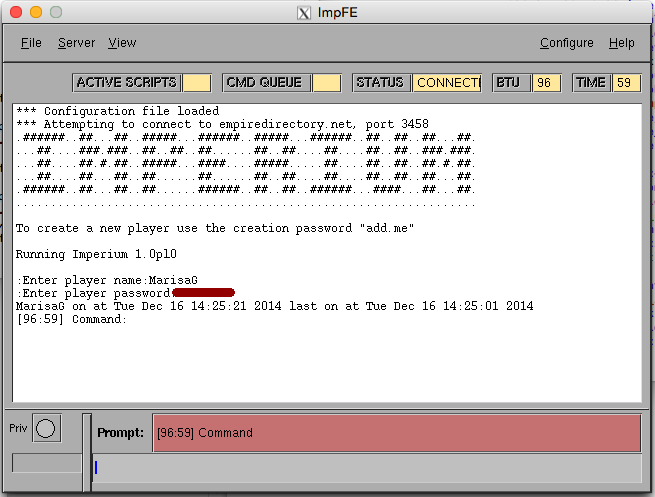 What is ImpFE? It is a full featured client for Imperium, the multiplayer game of interstellar conquest. You can purchase a monthly subscription and get unlimited acces to the ImpFE Imperium client plus a email address in the @empiredirectory.net domain. You can connect to a unlimited number of Imperium servers. Your email includes both webmail and Evolution mail clients. Note that you need X11 installed to run ImpFE and Evolution. We suggest using ssh on OSX & Linux and PuTTY on Windows machines.